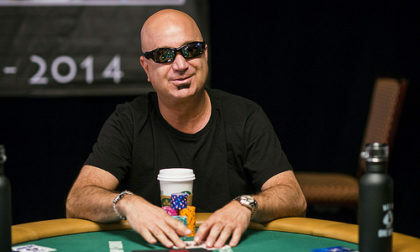 In a week filled with stories about high-stakes poker pros participating in off-the-table dirty deeds done to support their high-rolling lifestyles, New York-based pro poker player Micah Raskin has pled guilty to a federal-level felony charge of conspiracy to distribute marijuana in connection with his activities in supplying large quantities of marijuana and THC-infused products in the greater Baltimore, Maryland metro area. 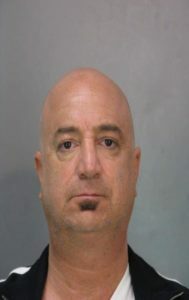 The plea deal is in connection with a case brought in the US District Court for the District of Maryland last October, involving the same multi-state drug trafficking activity undertaken by Raskin that also resulted in his arrest by New York State authorities last February. The Maryland charge came out of that state’s segment of a multi-state investigation that began when Raskin, now 50, was recorded via wiretap discussing details of the transfer of drugs to a known drug-selling ring in and around Baltimore. Investigators recorded hundreds of text messages and phone calls offering enormous detail about the ongoing operation. Raskin faces a minimum, mandatory five-year prison sentence on the single charge admitted to in the plea deal. As we reported previously, askin originally received drugs and related paraphernalia near his residence in New York, then shipped “vast quantities” of pot, THC waxes and oils, vaping pens and more to the Baltimore area, in addition to separate sales and storage in and around New York City and Long Island. Raskin’s five still-active counts in the NY case include: criminal possession of marijuana in the first degree, criminal possession of marijuana in the second degree, criminal possession of a controlled substance in the fifth degree, criminal possession of a weapon in the third degree, and criminal possession of a weapon in the fourth degree. Given that the Maryland charge was filed more than eight months after the NY charges were brought – and that the Maryland plea deal has already been filed – indicates that a similar plea deal is likely in store in the NY case. Raskin faces up to eight years in prison on the NY charges along with plenty of financial forfeitures. One key issue in the plea-deal negotiations may well be whether Raskin has to serve any NY-issued sentence concurrently or consecutivel to the Maryland sentence. Raskin faces a formal sentencing hearing in the Maryland case which will likely finalize the five-year prison term. The sentencing also likely spells the end of his high-stakes poker career. Raskin logged nearly $2 million in recorded tournament cashes while traveling the globe between 2006 and 2016, with his largest score being for more than $320,000 for winning a tourney at the Borgata back in 2009.